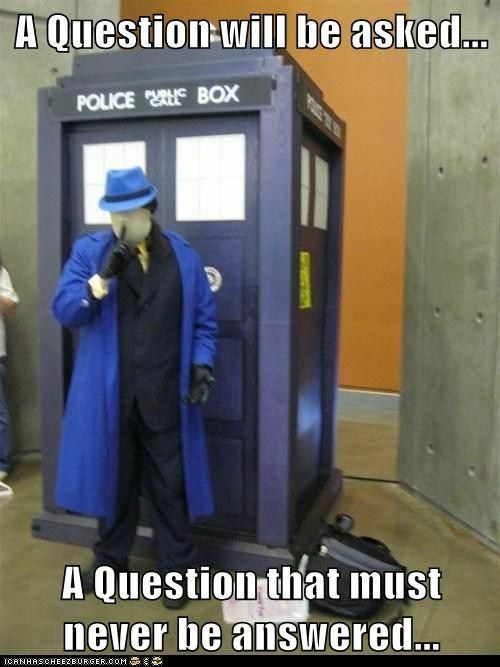 Would anyone mind a little DC Comics/ Doctor Who crossover humor to star things off? I thought not! 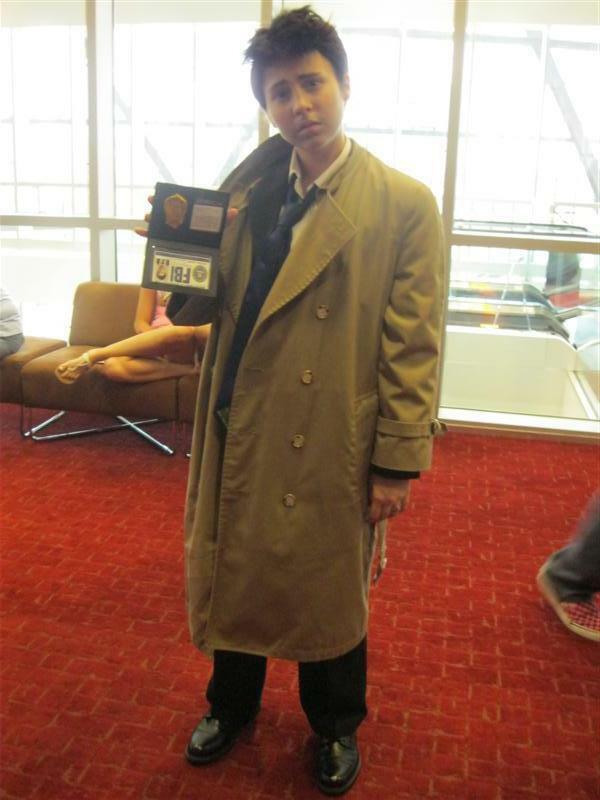 That's my friend Jeremy as The Question, incidentally. This was one of two Black Canaries I saw today but the only one I got a picture of. 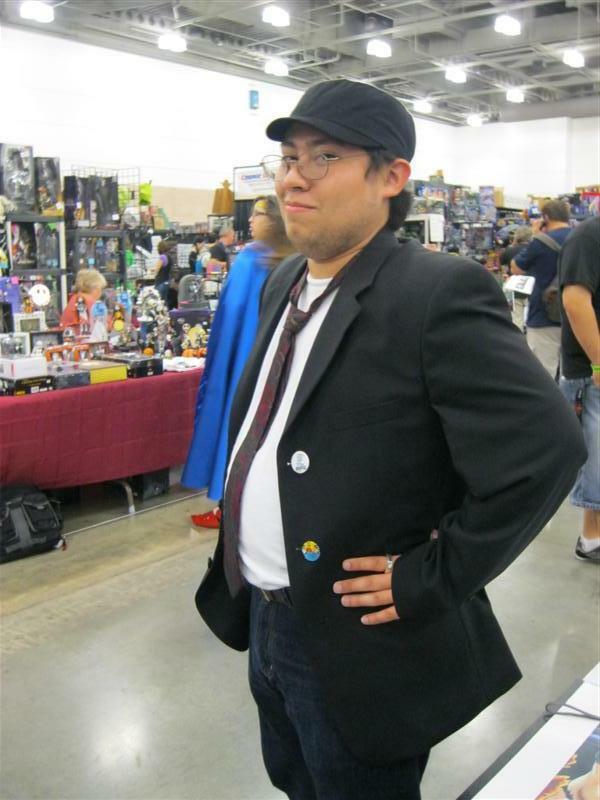 He's The Nostalgia Critic. He remembers it, so you don't have to. 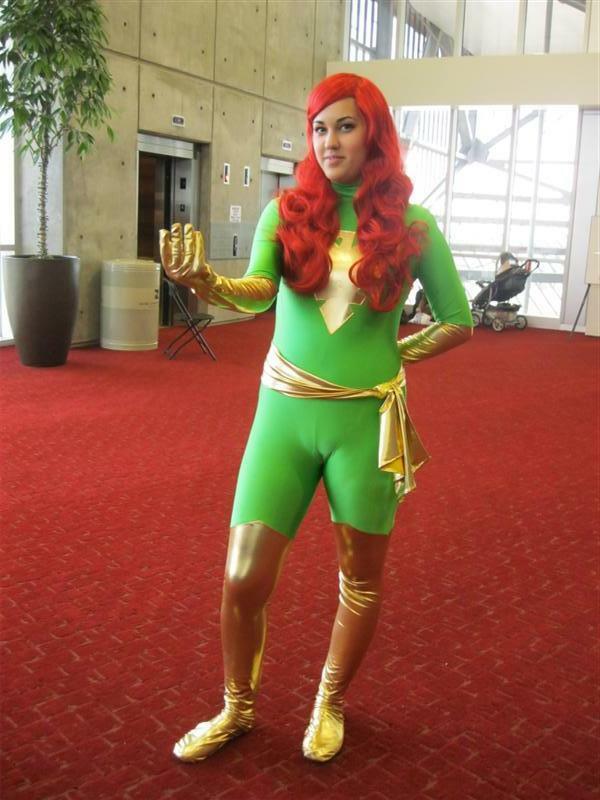 CAJ Cosplay as Poison Ivy. 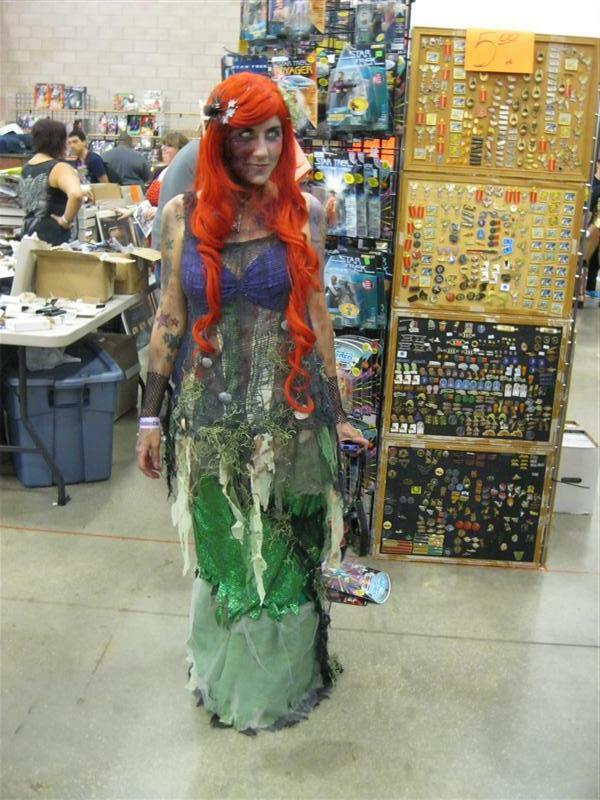 The creepiest costume I saw all day - Zombie Ariel - The Little Mer-Zombie! 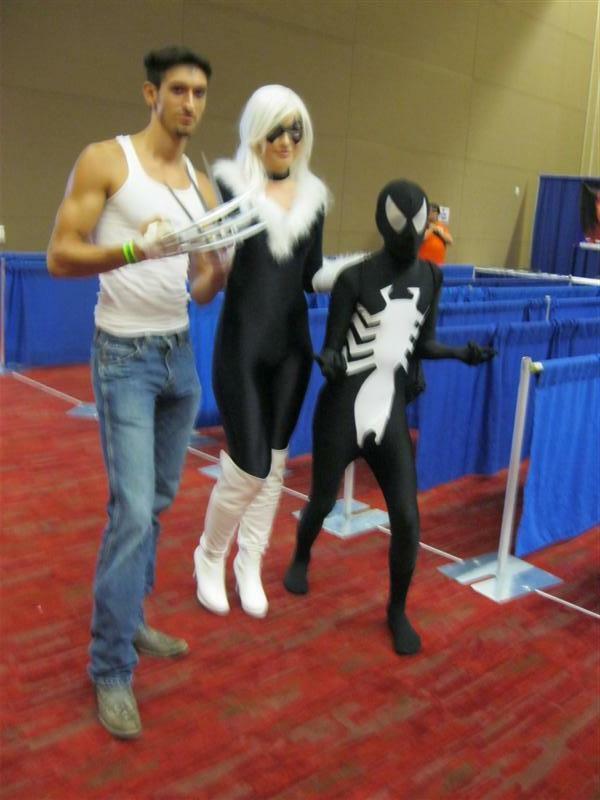 Logan, Black Cat and Spider-Man. 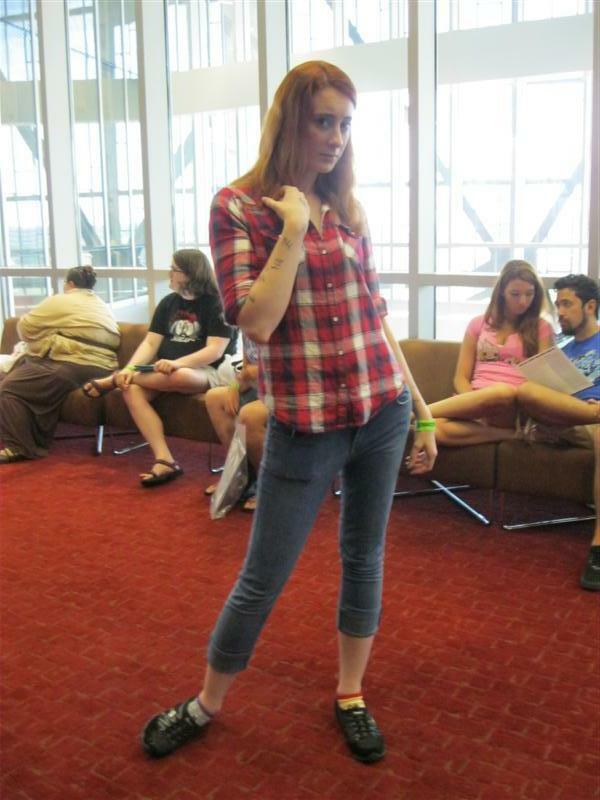 Amy Pond from Doctor Who. This Slave Leia seems far too cheerful about her captivity.